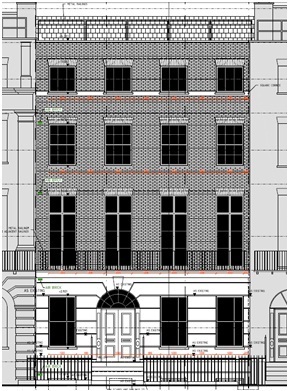 Syntegra Consulting Ltd has been appointed as energy consultants to provide SAP assessments based on proposed scheme U – values and Energy Performance Certificates for the development at 73 Guilford Street, London, WC1N 1DF. The development is a 7No. Flats building located in residential area. Syntegra will offer consultancy advice in relation to Building regs U-Values building fabric requirements and renewable/LZC technology options. SAP assessment compliance checks, will be provided based on proposed scheme U-values and other services based design recommendations/assumptions. A series of SAP assessments will need to be run to assist in the evaluation overview justifying building regs compliance. Syntegra Consulting Ltd is a leading international Building services design & Energy Consultancy. We are at the forefront of Energy Performance Certification and Low Carbon Building Design in the UK, Europe & Internationally with experienced consultants certified to undertake sap assessment and Energy Performance Certification.